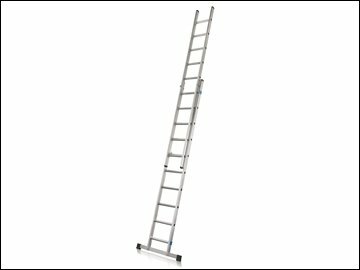 Zarges Industrial Extension Ladders are Tested and certified to both BS 2037 Class 1 and EN 131-1+2. Their large D shaped serrated rungs provide a comfortable horizontal surface during use, and the box section side stiles provide extra strength and smooth handling. Supplied with stabiliser bar. All sizes conform to EN 131 with a 150kg rating and BS2037 Class 1 with a 175kg rating. Number of rungs: 2 x 8.